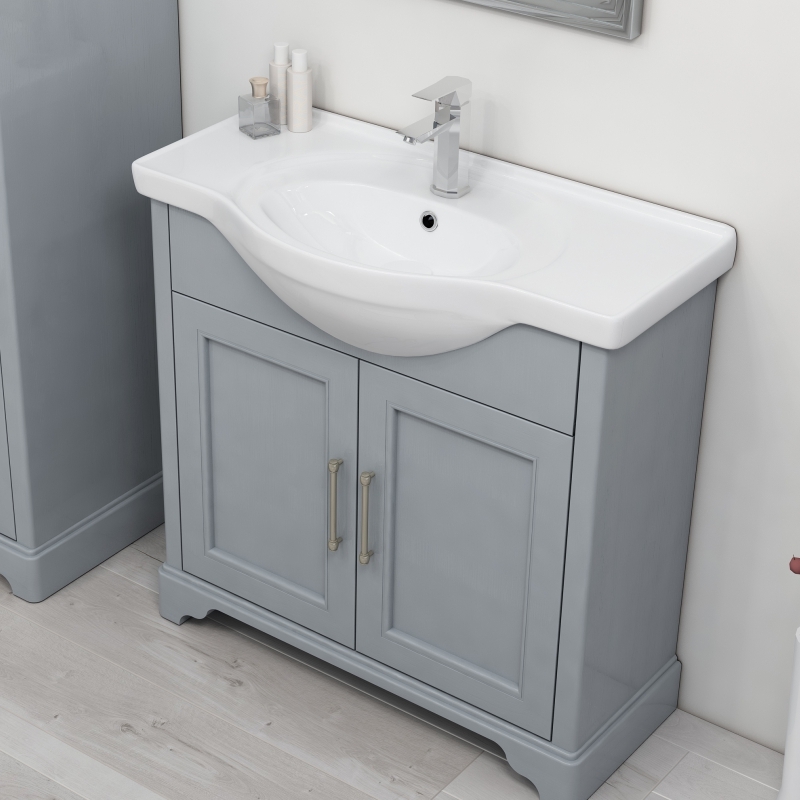 The 850 Traditional Old England 2 door bathroom vanity unit and sink have been handmade from a mixture of solid Oak and Oak veneer. 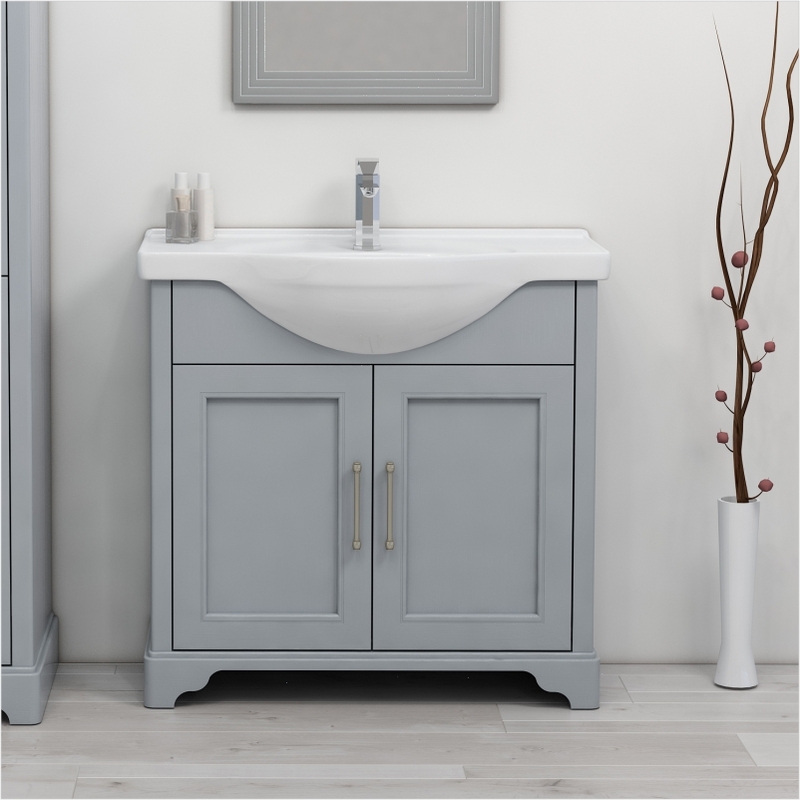 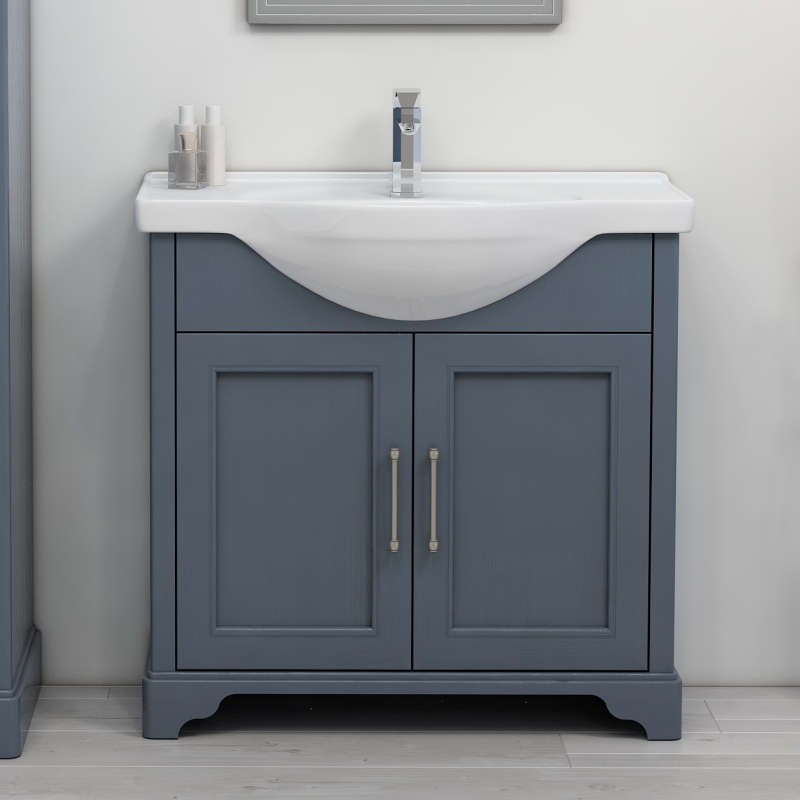 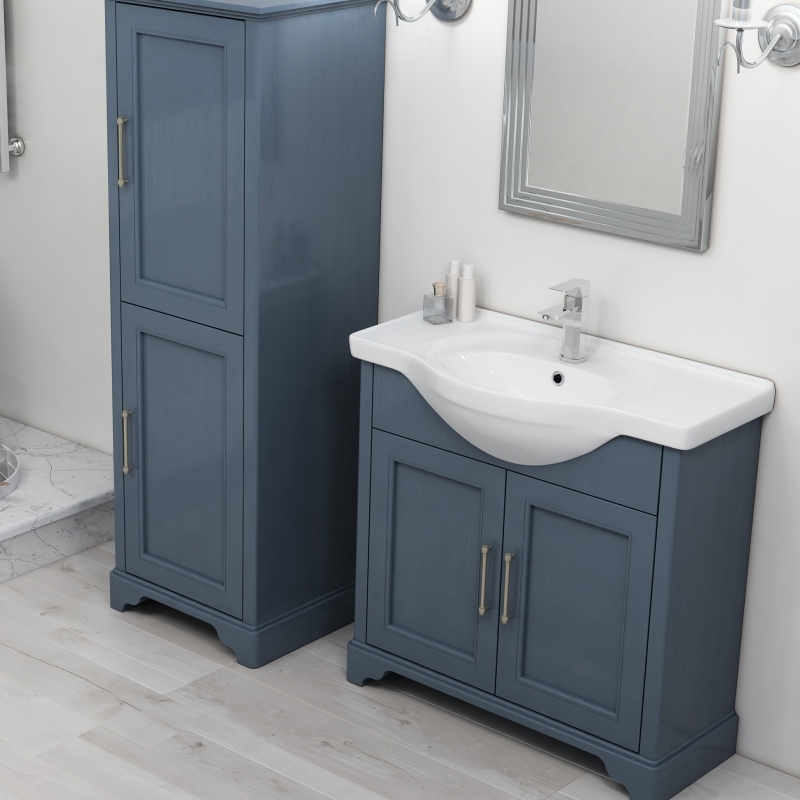 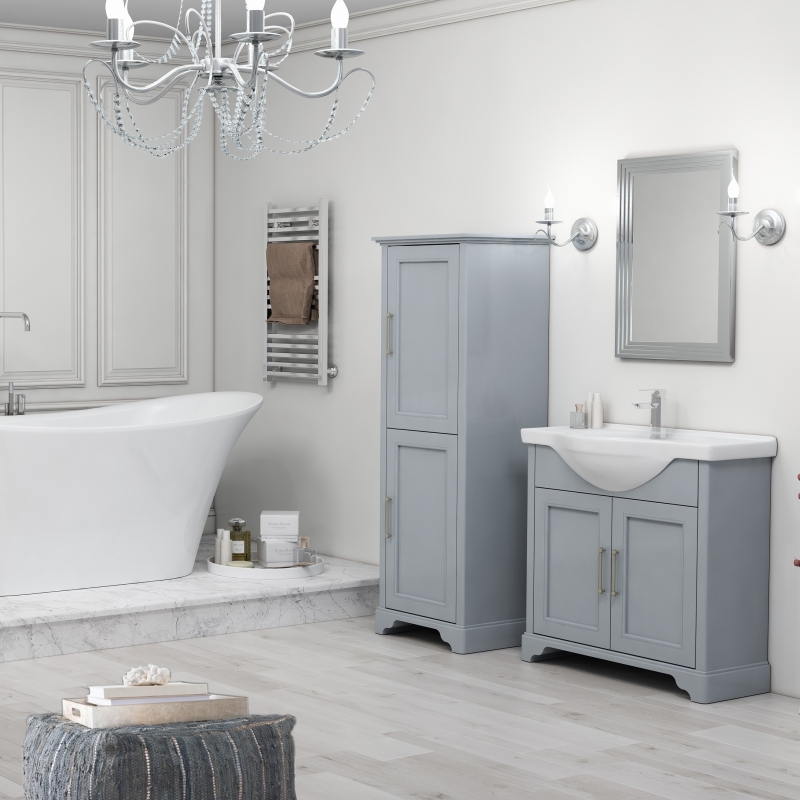 This Traditional bathroom furniture vanity unit features a beautiful traditional oak two-door storage cabinet with a traditional Old England style ceramic 1 tap hole basin. 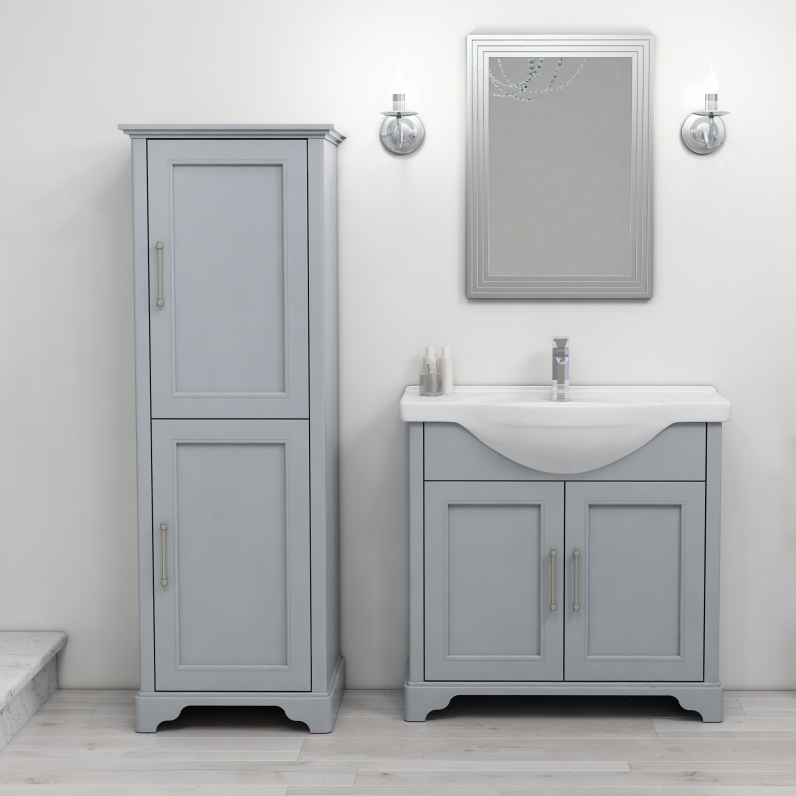 The cabinet is supplied fully assembled and ready to install. 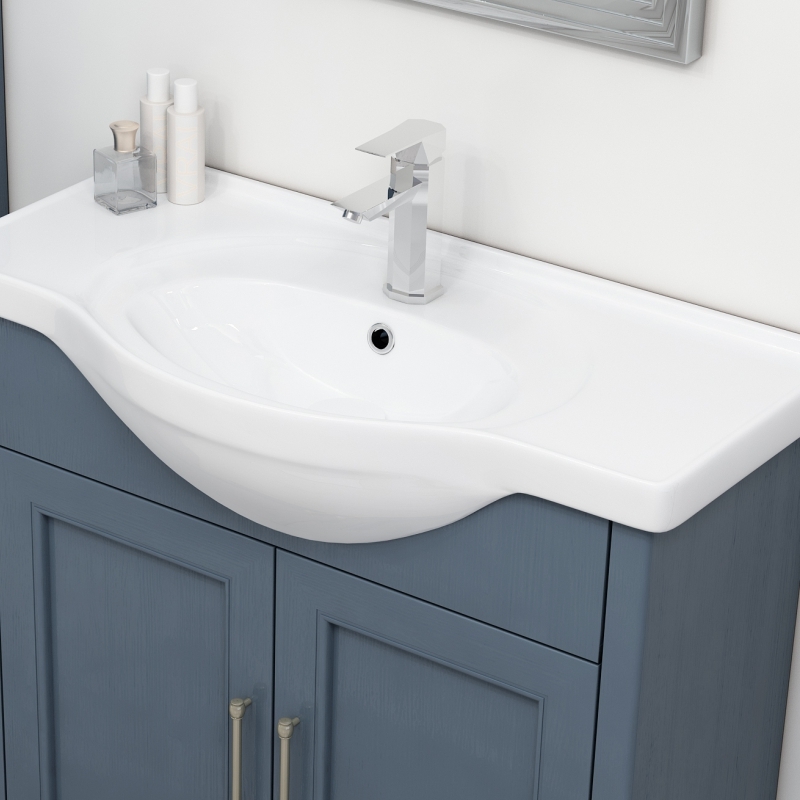 Each unit has a perfect matt spray finish.